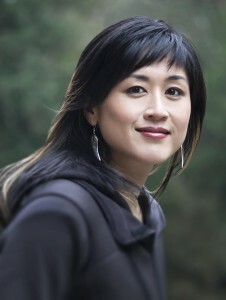 Jenn Lim is the CEO and Chief Happiness Officer of Delivering Happiness, a company she and Tony Hsieh (CEO of Zappos.com) co-founded to inspire science-based happiness, passion and purpose at work, home and everyday life. Jenn has been a consultant at Zappos from its start-up days in 2003 to the $2B business it is today. Since 2009, Zappos has been on Fortune’s “100 Best Companies to Work For” list and has been bought by Amazon.com in a deal valued at $1.2 billion on the day of closing. One of her creations, the Zappos Culture Book, has become a global symbol of how companies can use happiness as a business model to increase productivity and profitability. In 2010, Jenn led the launch and management of Tony’s first book (Delivering Happiness) which has sold over 550,000 copies worldwide and hit #1 on bestsellers lists like the New York Times and USA Today. It was voted one of the best business books by NPR, Inc. Magazine and the Wall Street Journal, remained on the New York Times list for 27 weeks and is now being translated into its 20th language. Delivering Happiness has evolved from a book to a bus tour, and now a company and global happiness movement represented by people from 110 countries. Today, she’s dedicated to growing the Delivering Happiness movement so we can all pay happiness forward–knowing if we create happier companies/communities/cities, we can make this a happier world. Session: Passion + Purpose = Performance?